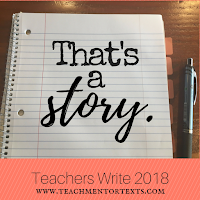 Teachers Write is officially over and I'm really sad. I had big plans for this summer: I was going to draft a novel that I've been thinking about all year. It's currently sitting at 2,601 words which isn't bad but it's not an entire novel by any means. If you read my post from last week, you know that my agent closed her agency. It threw me and all of her others clients for a loop. I'm still shaking my head. I've talked to friends and family, gone for runs, cut my hair, gone to the beach, played with my dog...so many things to take care of myself as I get through this. It's been emotional to say the least. I've also thought about all I've done since I started writing fiction in 2011. 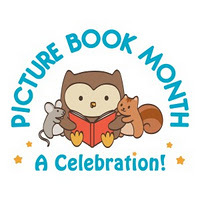 My husband and friends have helped me do that, reminding me that I've written three novels, I've written picture books, I was chosen for Pitch Wars. I've put in a lot of time and I've come a long way and that can never be taken away from me. At first, I thought of all I've done and especially all the time I've spent on writing and I felt discouraged. That I've worked so hard and don't have much to show for it other than my stories that I love. And then I flipped my perspective. I've been living the life of a writer for seven years now. I have stories that I love and believe in. I have people who support me and my work. I've learned a lot about myself from writing. I have a lot to be thankful for. Sometimes we need someone else to point out what we have done. 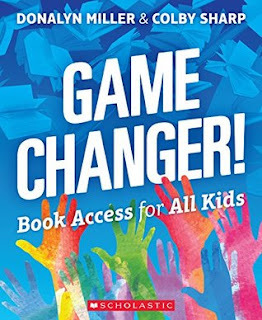 And kids need this too. Writing is hard. Sure, it's as easy as moving through the writing process. But the reality is that it's hard. 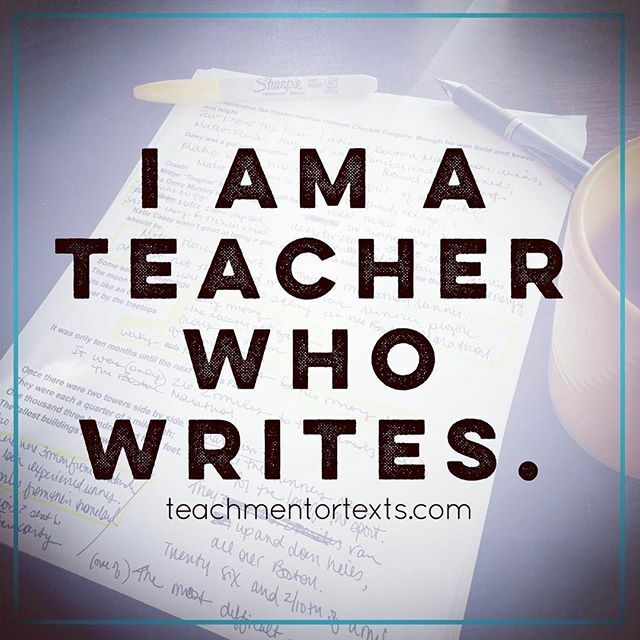 Writing words down, thinking carefully about revisions, asking others to read and give feedback, processing feedback, putting your work out there...it's hard. When I get caught up in the hard, it's helpful to have another person give me some perspective and remind me of what I've done in spite of feeling overwhelmed with how hard it is. As we confer with kids, we can give them this perspective too. We can remind them of the work they have done. It can be something small or something big. It can be one thing or a list of things. 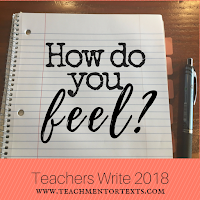 It will all depend on the student and what they have accomplished recently but I love to recap what I notice in terms of the work they have done and then to ask them, "How do you feel?" 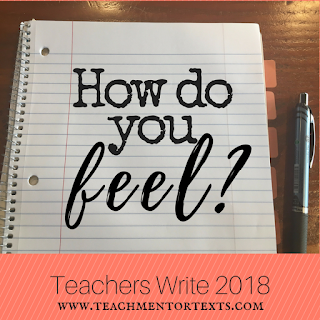 I'm not sure we ask kids enough how they feel about what they have done, writing or otherwise. My dad used to ask me this all the time. If I'd go to him with a complaint or to celebrate something, he'd say, "And how does that make you feel?" Thinking about it now, I see how he was helping me process. He was helping me name my emotions instead of telling me how I should feel. it also reinforced the idea that what mattered most was how I felt about it. As I'm going through the betrayal I've experienced this last week and a half, I keep reminding myself that I believe in myself as a writer and in my stories and that's what matters. I keep reminding myself that I love the stories I've worked on these last seven years and I feel pretty damn good about the work I've done. And that's what matters. I got some writing in yesterday and took this picture. Quite frankly, I felt like a hot mess. I pulled all sorts of stuff out of my bag and tried to just do something. I'm overwhelmed and unsure and scattered but I made a list of manageable things and I worked through them. I didn't write words so much as I got organized and did some research and contacted people I needed to connect with and did some brainstorming. There are lots of emotions I've felt this week but after yesterday, I'm happy to say I had some hope. I don't know exactly where I'm going or how fast I'll get there but I'm going to keep writing. Even just deciding that feels really good. 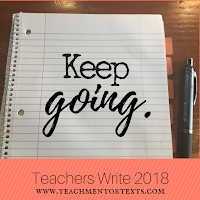 So this year, when you're conferring with writers, don't forget to point out what you notice about them as a writer and what they have accomplished and to ask them how they feel. Stopping to reflect is important and helps us power on. Thanks so much for coming by to check in with me and Teachers Write this summer. I have one more week before heading back to school. I cannot wait to see all the kids! I've missed them so much. 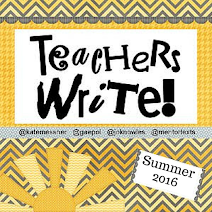 I'm looking forward to working with teachers on Writer's Workshop and talking to students about writing. Hopefully you'll take the ideas I've shared here back to your students and remember them for yourselves too! But before you go...I hope you'll tell me how you're feeling! Teachers Write has come to an end. Take some time to stop and reflect! What did you accomplish? What did you learn about yourself? 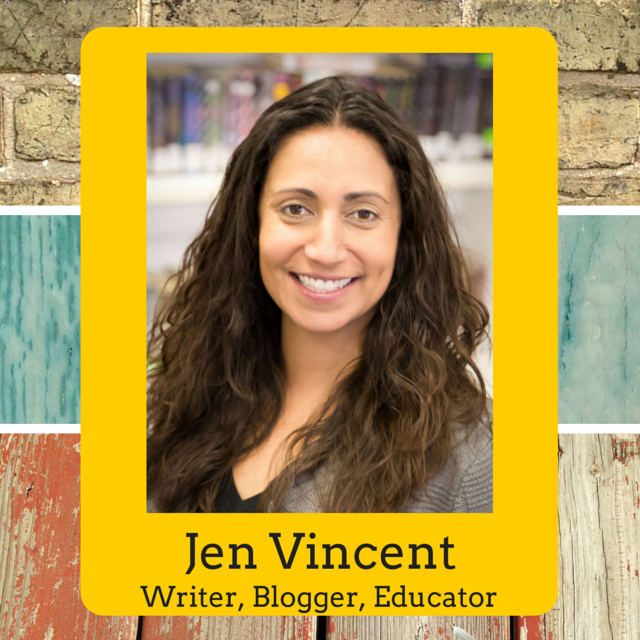 What did you learn about living the life of a writer? How are you feeling about writing, about yourself as a writer, and about writing with students this year? I can't wait to hear all about it! 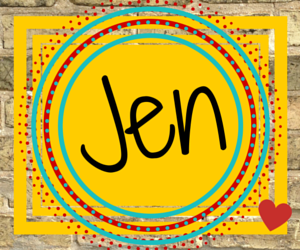 Jen, thank you for sharing your heart. It’s been rough for you and I can’t imagine. I’m so glad you are not giving up. Your pain has produced beautiful words of encouragement for the rest of us. I needed to hear the support you are offering. I too have been writing fiction seriously since about the same time you have started. But I have wanted to be a writer since I was 12. I have had some smaller things published and have an agent but my main goal is still out of reach. Right now I am querying because my agent doesn’t rep fantasy and that’s where the “muse” took me this past novel. I believe in this book so much but getting others to believe isn’t easy. Even standard rejection forms feel defeating. I say all of this to say this, thanks for sharing. Your pain, your determination, your hope, dear and joy. They mean a lot. Keep going. YES. I started a new novel this week. And I’m going to keep your words of encouragement in mind as I write it. Have a great school year. We head back in a week too. Keep in touch. 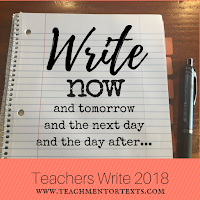 Thanks for your hard work on Teachers Write. I wish you the best going forward, Martha! There are so many ups and downs but it's worth it to keep going. At least that's what I keep telling myself as I make plans to keep going too. Thanks for checking in! Jen, I've been worried about you. I'm glad you've been taking care of yourself, having a little fun, and come to this conclusion about your work. I was speaking with a writing friend at a poetry reading on Friday night about how you have to do a lot of writing before any of it sees the light of day. You have your work. Hold on to that and feel blessed. And keep fighting the good fight for the words you know are worth it. Not much writing has happened for me this week, but I did get up the courage to query something and that is huge! Today I am back to school. 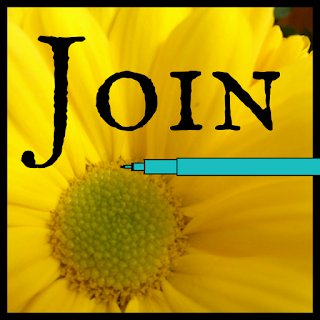 I am ready, but I am worried about what will happen to my writing life. I need to stay focused and keep it a priority as well. Thanks for your support! Yes, there is sooooo much work that goes into writing before anyone else sees it. So much of it is just getting in front of a piece of paper or a computer and just doing the work. Hooray for querying! It's hard but it's how you move forward. I'm curious to see how my writing changes when I start school on Monday. I'm actually looking forward to having a routine again, I think that will be good. And I cannot wait to see the kids. I love them and their energy!